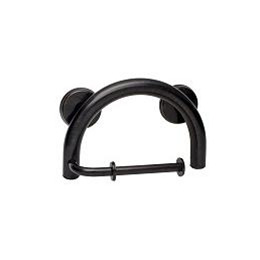 Grabcessories 2-In-1 Grab Bar Toilet Paper Holder prevents falls and enhances independent living for all ages with the added convenience of holding toilet paper. Thoughtful design ensures safer mobility in a key “fall risk” zone of the bathroom (elevating & declining from seated position). 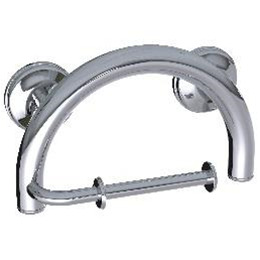 This non-corrosive Stainless Steel Grab Bar has no-slip Rubber Grips, a Polished Chrome finish and holds up to 500 lbs. 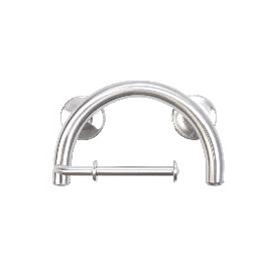 The beautiful, transitional curved design is disguised to seamlessly integrate into your bathrooms' décor while providing the convenience needed to live independently. All LiveSafe Hollow Wall Anchors (2) and Stud Mount Hardware are included so you can mount Grabcessories anywhere you like on your wall. FINALLY, beauty, safety and independent living combined!